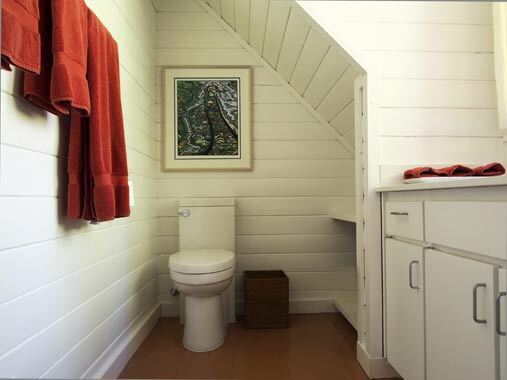 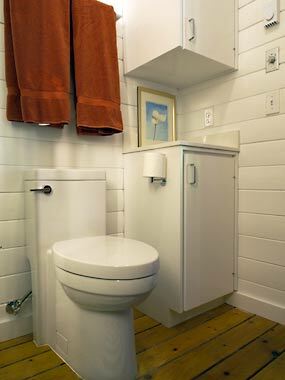 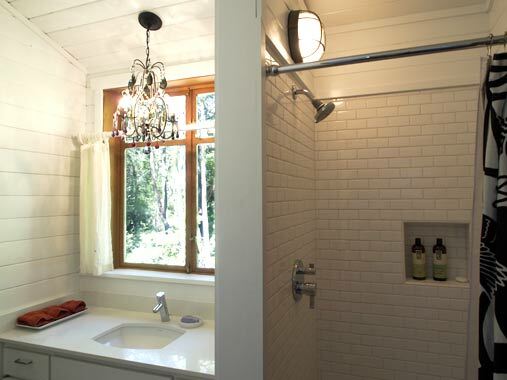 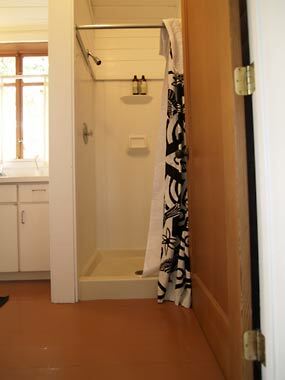 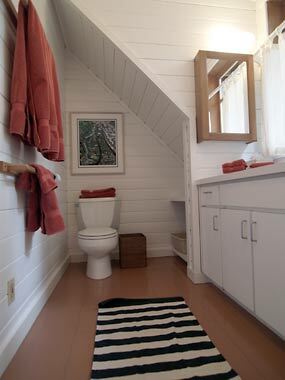 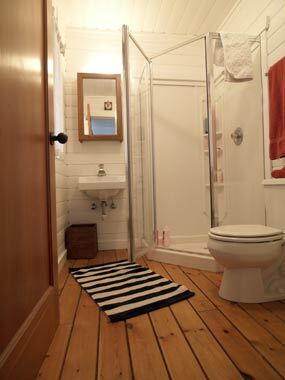 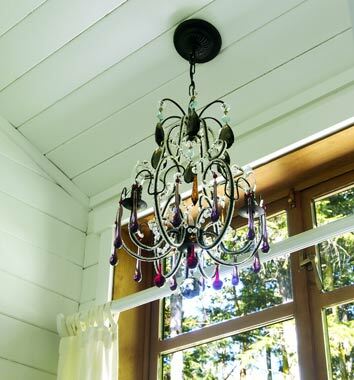 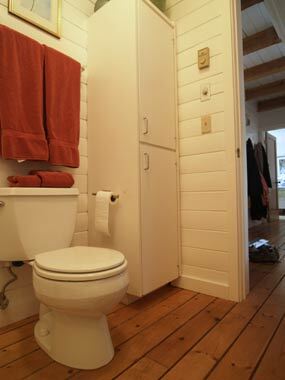 The compact bathrooms (one is 37 square feet, the other 60 square feet) in this rustic 1980's weekend cottage needed some functional updates and a pinch of pizazz. 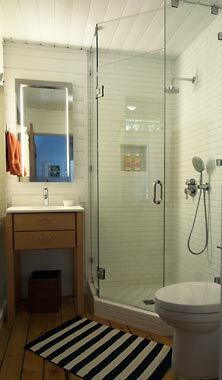 Simple but beautiful Ann Sacks subway tiles replaced fiberglass shower surrounds, etched quartz (Caesar Stone Lace) replaced laminate countertops all of which were rounded out with updated decorative hardware and customized lighting. 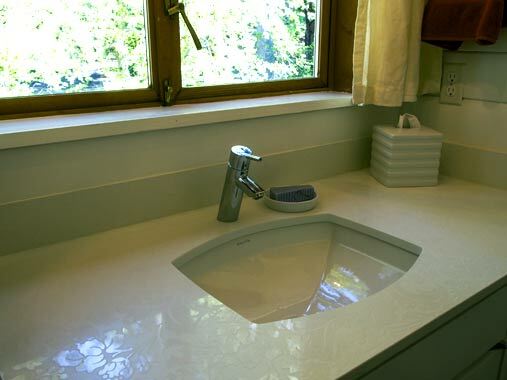 The net result was more counter space, water conservation, and spaces where girls can be girls without making the men of the house feel out of their element.